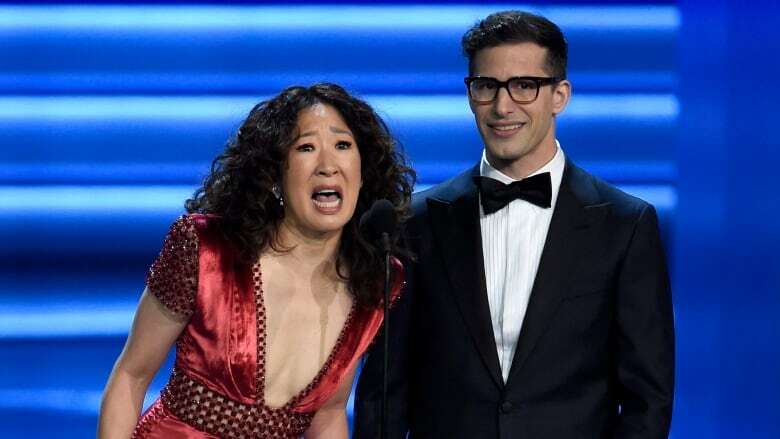 Canadian actress Sandra Oh and U.S. comedian Andy Samberg will co-host the 2019 Golden Globe Awards in January, organizers said in a statement on Wednesday. The two celebrities will be first-time hosts for the Golden Globes, which honour television and film. Nominations for the awards will be announced on Thursday, and the ceremony will take place in Beverly Hills, Calif., on Jan. 6. The Golden Globes, chosen by members of the small Hollywood Foreign Press Association (HFPA), are the first major ceremony in Hollywood's long awards season culminating with the Oscars on Feb. 24. Oh is best known for her role in the long-running television hospital drama Grey's Anatomy and is now starring in BBC America's acclaimed Killing Eve. Samberg is a former Saturday Night Live cast member and a Golden Globe winner for television comedy series Brooklyn Nine-Nine. Oh and Samberg will "bring wit, charm and style to a room filled with the very best of film and television," Paul Telegdy and George Cheeks, co-chairmen of NBC Entertainment, said in a statement. Amid slipping Oscars and Grammy viewership, have awards shows lost their appeal?